San Diego Comic-Con was just as packed with new trailers as year's past, but none of them held a candle to Wonder Woman. It wasn't for any lack of competition either. Alongside Wonder Woman, Warner Bros. also released new trailers for Suicide Squad and their upcoming Fantastic Beasts And Where To Find Them. Kong: Skull Island made a big debut, and Marvel dropped a new Doctor Strange trailer as well as a Comic-Con only tease for Guardian's of the Galaxy Vol. 2. ListenFirst rated the Twitter activity for the week of July 18th through July 24th, and while Suicide Squad gave a great performance for the number 2 slot, it just couldn't beat Wonder Woman, which took the top honors with ease (via The Wall Street Journal). The trailer received plenty of positive buzz, even above new footage from Warner Bros. big team-up film Justice League. Coming in at number 3 is Fantastic Beasts And Where To Find Them, while Marvel takes the 4th spot with Doctor Strange. Rounding out the top 5 is Blair Witch, which before Comic-Con was going by the title The Woods. The surprise was well received, and anticipation for that project has skyrocketed. Wonder Woman didn't just take the number 1 spot in Tweets for the week either. It also overtook Ghostbusters for the number 5 spot on the year to date trailer performance chart. Captain America: Civil War sits atop that list, while Suicide Squad takes the 2nd spot, Rogue One: A Star Wars Story sits at number 3, and Fantastic Beasts ranks at number 4. 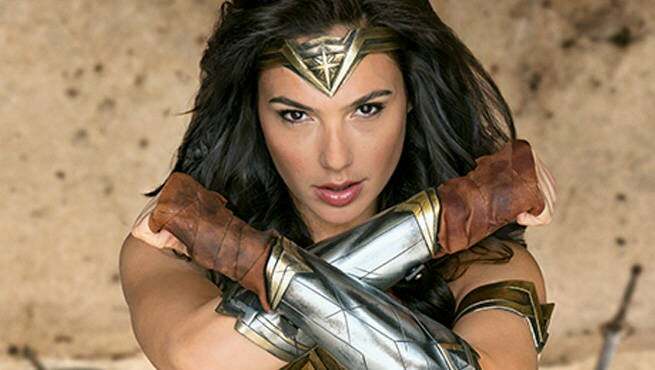 Wonder Woman doesn't hit until next year, but fans can't seem to get enough of the Amazonian warrior. Wonder Woman hits theaters on June 2nd.